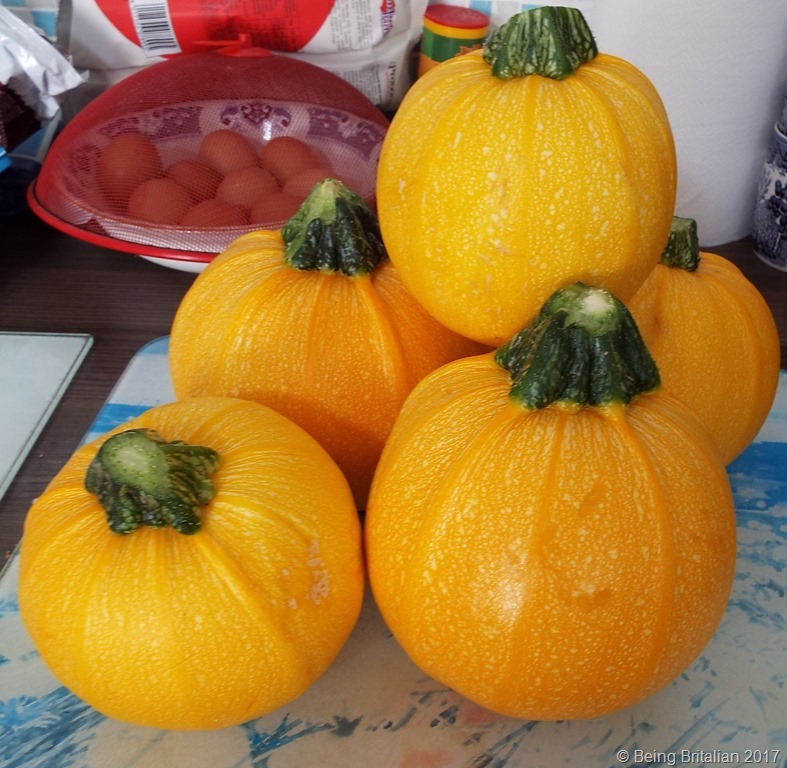 Yesterday at the supermarket we ran into a friend who had been working in her orto and she kindly gave us some of her surplus round courgettes. So when I got home I looked at these lovely sunshine coloured globes and wondered what to do with them. Then the word, cake popped into my head and I thought: I know, I’ll make a carrot cake but without carrots I’ll use courgettes. 350g grated courgettes. 200g soft brown sugar. 300g plain flour. 2 tsp baking powder. 3 eggs.125ml sunflower oil. 1 tsp butterscotch essence. Zest of a lemon. Juice of half a lemon. 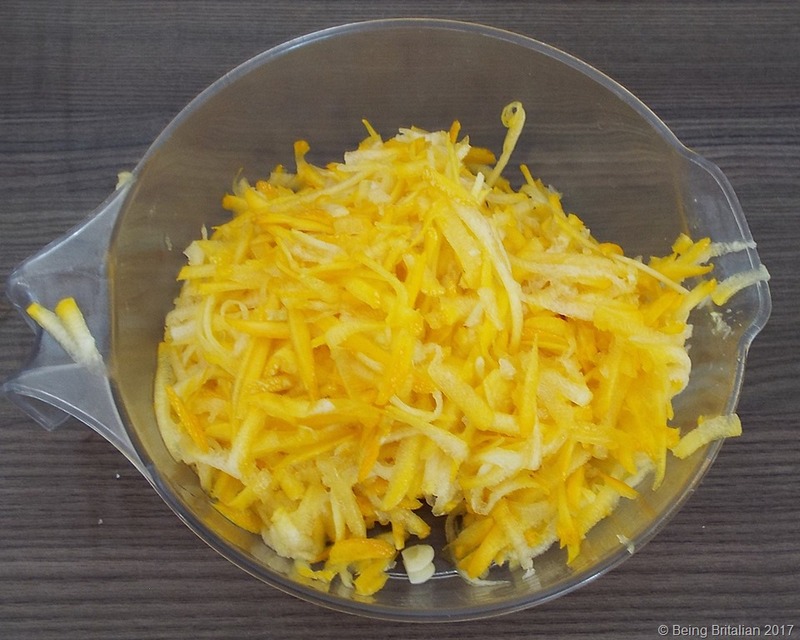 First squeeze as much water out of the grated courgettes then add them to a bowl alongside the oil, eggs, sugar and lemon juice and zest. I added the butterscotch essence as I had no vanilla, but to be honest it didn’t add anything to final cake flavour. Mix together then fold in the flour and baking powder, but don’t over mix it. Make sure you have the oven pre-heated to 180C (160C fan) gas mark 4. Grease and line the base of your chosen cake tin and fill with the cake mixture. 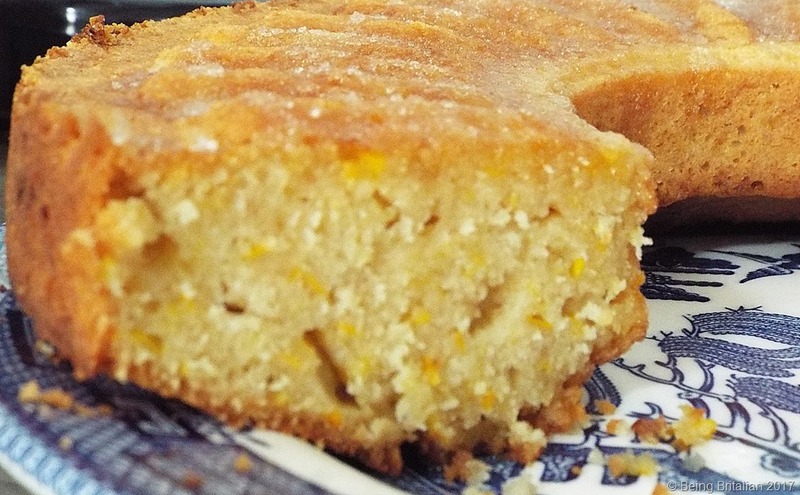 Similar to carrot cake it’s a dense crumbed cake but unlike carrot cake I decided not to do a cheese frosting and opted for Mary Berry’s recipe for lemon drizzle, which is 50g of granulated sugar and juice of a lemon. Mix together and pour over the warm cake. Let it cool and then scoff at will. This entry was posted in Uncategorized and tagged . 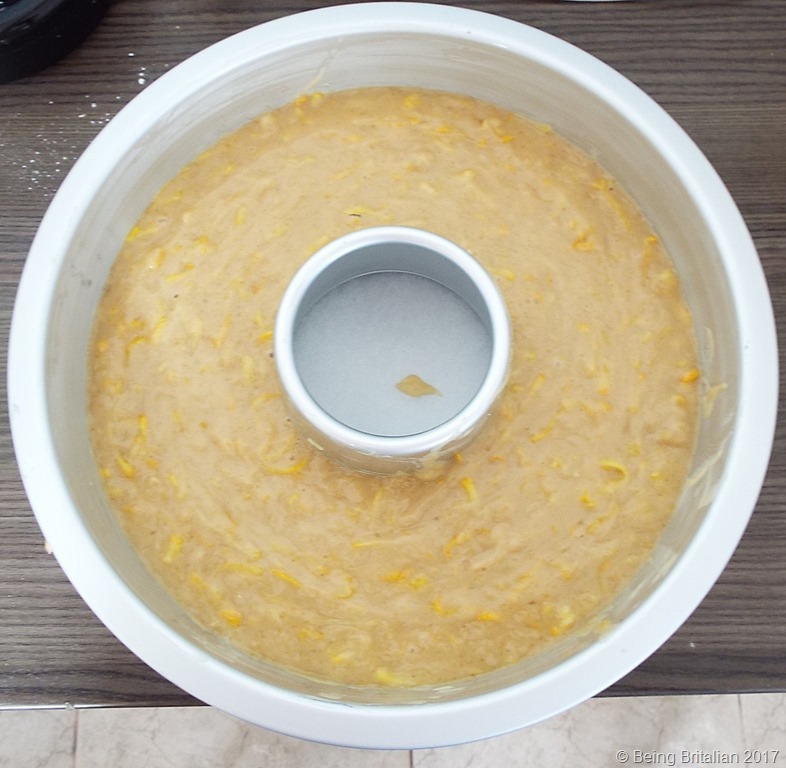 eating, baking, butterscotch, cake, cooking, courgettes, friends, gardening, italian kitchen, lemon, lemon drizzle, mary berry, orto, recipe, supermarket by barrylillie. Bookmark the permalink.